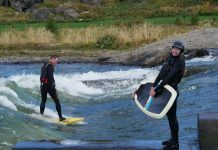 PL: Tell us how you got into the paddlesports business. AZ: I started Wilderness Systems in my backyard in 1986 with John Sheppard. Originally, we made high-end squirt boats and creek boats out of Kevlar. Then I realized that wasn’t going to make us any money so we started doing flatwater rec. stuff: composite sea kayaks and the first rotomolded sea kayak. Confluence was created in 1998 – aquiring Wave Sport – and I ran it until 2001. 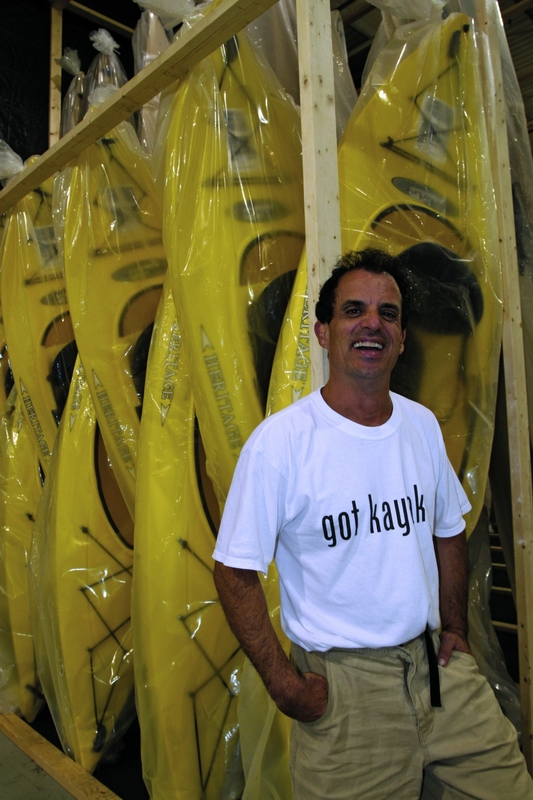 PL: And how did Legacy Paddlesports get its start? AZ: After leaving Confluence, my non-compete ended in 2003. I decided to get back into paddlesports when Confluence moved their manufacturing from North Carolina to South Carolina, leaving a lot of people without jobs. I struck a deal to create Legacy with Hol Whitney. We were interested in Heritage, a Rhode Island boat company. It was a great brand but it was 97 percent East Coast. We took a regional company and moved it down south. At the same timed we were working on Native Watercraft. We completed this merger in March of ’06 and then introduced Native at the Outdoor Retailer in August. At the same time, we started to talk to Liquidlogic. PL: How did Liquidlogic come into the fold? AZ: In Dec. of ’06 we started contract molding for Liquidlogic. That’s the way my luck goes. Things just fall into place. Liquidlogic had experienced a lot of growth but didn’t have their own factory. It was a bit dysfunctional with manufacturing in Pennsylvania and R and D in North Carolina. It wasn’t ideal for operations and administrations. We completed the merger in March of 2007. The Liquidlogic folks now own part of Legacy and vice versa. We turned Liquidlogic back into whitewater-only and split rec. between Heritage and Native. PL: How has the merger gone? AZ: In a lot of cases, it has exceeded our expectations. There are always a few surprises. It wasn’t an unknown. Woody (Calloway, one of the Liquidlogic founders) and I met on the river 30 years ago. Even though we worked for different companies, we were always good friends and I enjoy working with the core team at Liquidlogic. PL: Now that you’re back in whitewater, what concerns you about its future? AZ: We are challenged to grow the whitewater industry. Unfortunately, the industry is more focused on high performance and not introductory. We just made a huge commitment to entry level equipment (Remix). But just because it’s user-friendly doesn’t mean it has to lack performance. With the Remix, you can attain and run big water. My bet is we’re going to see a lot of that from other companies. PL: Is whitewater being promoted the right way? AZ: Whitewater is promoted by contests and videos that aren’t easy for the average person to relate to. It was the same thing you saw in snowboarding but you aren’t seeing it anymore. You go to the Burton Web site and it’s much more user-friendly. It isn’t Johnny Extreme anymore. 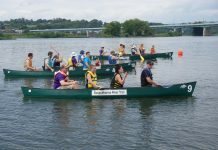 PL: Where do you see growth in paddlesports? AZ: Sea kayaking is still pretty niche. It’s a big niche but rec. is where the growth is at. The hope is always that rec. paddlers will convert and become multi-users. I road bike and mountain bike, plus I have a cruiser. We want paddling to be the same way. Families have multiple boats for multiple uses. PL: What excites you about this industry? AZ: I think we’re all seeing the light with industry organizations like TAPS and PIA. People are starting to put aside their competitiveness to be successful as an industry. Our real competition is couch potatoism and getting families into paddling. PL: What kind of paddling do you like to do? AZ: It’s been 15 years since I did an overnighter and this summer I did Cataract Canyon in Utah. Theses days, I’m not into driving three hours to paddle three hours and then drive three hours back. I was just reminded how much I love multi-day trips. Spending five days on the river with good people. There’s nothing like it. Editor’s note: This was the third in a series of sitdowns with the heads of today’s major boat manufacturers so you could put a face to the kayak you’re paddling. 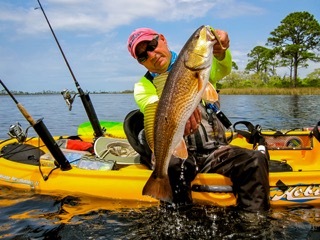 Look for more “Big Cheese” Interviews from companies like Jackson Kayaks, Johnson Outdoors and others in the coming weeks. Check out our archives for more “Big Cheese” Interviews. Next articleSpecial PL NRG College Tour Update!